The Evanston community is invited to celebrate the back to school season during the ’Kits, ’Cats and Kids Block Party on Thursday, September 15 from 4:45 to 7:30pm. This free community-wide Block Party will be held in Downtown Evanston on Sherman Avenue, between Church and and Clark Streets, and on Clark Street, between Sherman and Benson Avenues. The streets will be closed to traffic. 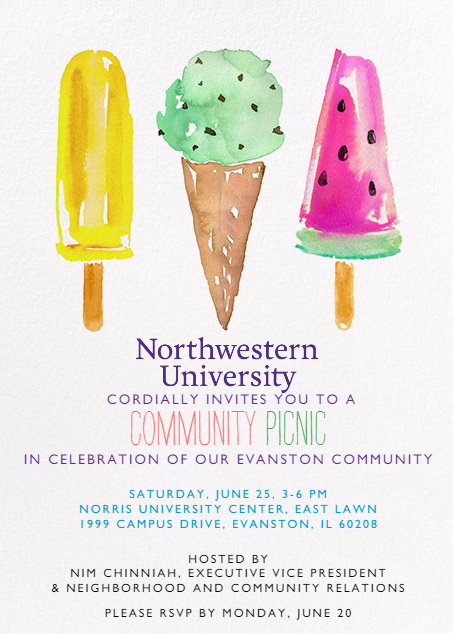 The event will feature family-friendly activities such as games, arts and crafts, live music, and performances by the marching bands of Evanston Township High School and Northwestern University. A variety of local food trucks will also be on site. The week culminates with football games on Friday, September 16 (at ETHS, Lazier Field, 7:30pm) and Saturday, September 17 (at Northwestern, Ryan Field, 7:00pm). The ‘Kits, ’Cats and Kids Block Party is sponsored by the City of Evanston, Northwestern University, Downtown Evanston, the Evanston Chamber of Commerce, Evanston Township High School, and Evanston/Skokie School District 65. More information is available from the City of Evanston (http://www.cityofevanston.org/festivals-concerts/kits-and-cats/). You and your child are invited to participate in child development studies at the Project on Children’s Thinking at Northwestern University. Currently we are seeking children between 1-5 years of age to participate. Our research study concerns the development of children’s thought and language. Our research studies explore children’s patterns of understanding and how they change over development. All of our research studies are designed to be fun and interesting for children and each participating child receives a small gift! If you are interested in having your child participate, please refer to our website groups.psych.northwestern.edu/POCT for more information or to sign up! If you have already participated, we thank you for your interest, and hope to see you again soon. We look forward to hearing from you. 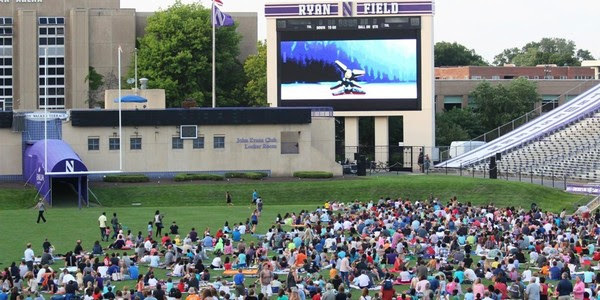 Evanston’s 2016 Starlight Movies in the Park series begins on Thursday, July 21 with a special showing of “The Good Dinosaur” by Northwestern Athletics at Ryan Field, located at 1501 Central St.
Complimentary popcorn and Coca-Cola beverages (while supplies last) will be provided. Additional refreshments will be available for purchase. Blankets will be allowed on the playing surface, but chairs are prohibited in order to protect the grass. In the event of inclement weather, the movie will be moved to Welsh-Ryan Arena, located north of Ryan Field. Northwestern’s family-friendly summer cinema series is free and open to the general public and sponsored by Norris University Center and Summer Session. Each film will be screened at dusk (around 9:00 p.m.) on the East Lawn of Norris University Center, 1999 Campus Drive. Moviegoers are encouraged bring their lawn chairs, blankets, food, beverages and an environmentally-friendly insect repellent (note: alcoholic beverages are prohibited). Free parking is available after 4:00PM in the two-level lakeside lakefront lot south of Norris. In the case of rain, the scheduled film will screen indoors in Norris Center’s 360-seat McCormick Auditorium on the first floor at 8:30pm. Enjoy free activities and food items beginning at 7:30pm on the East Lawn. Every movie event will feature free fresh popcorn and a bubble station! A great night for laughs with the hilarious Jim Carey! This Northwestern dept.is currently recruiting married couples with children between the ages of 5-18 for a study on emotion in couples. If interested, email haase.lab@gmail.com or call 847-467-3013. Compensation is $100, and the study is really fun and interesting! In the case of rain, the scheduled film will screen indoors in Norris Center’s 360-seat McCormick Auditorium on the first floor. There are still several summer opportunities for your high school student to participate in STEM/STEAM programs at Northwestern. Graduating seniors are still welcome! Please contact Kristen-perkins@northwestern.edu with any questions. 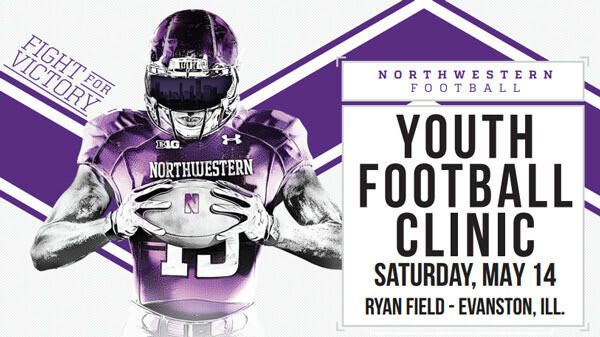 Northwestern Football invites youth in grades 8 and under to participate in a free skills clinic this Sat., May 14, at Ryan Field! Participants will have the opportunity to participate in basic drills and learn the fundamentals all while interacting with members of the Northwestern Football program. Doors open at 10 a.m. and the clinic begins at 11 a.m. Pre-registration is required.